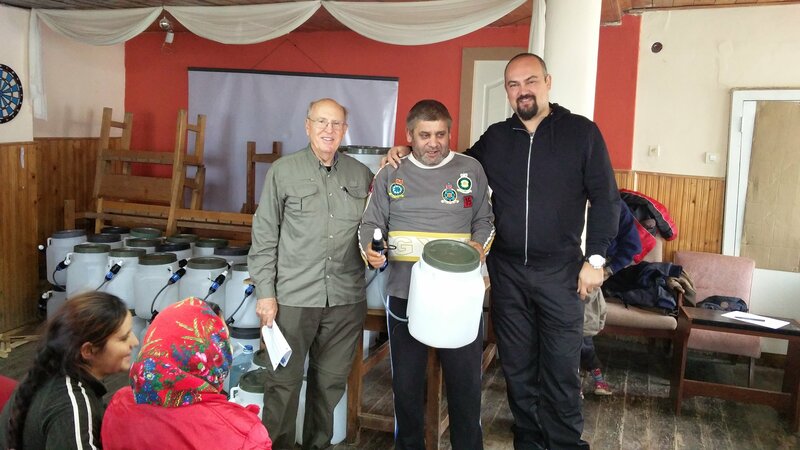 We’d like to thank our partners for making the Boots distribution possible. 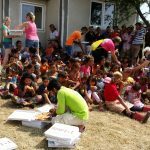 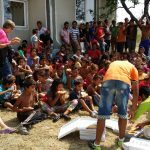 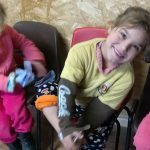 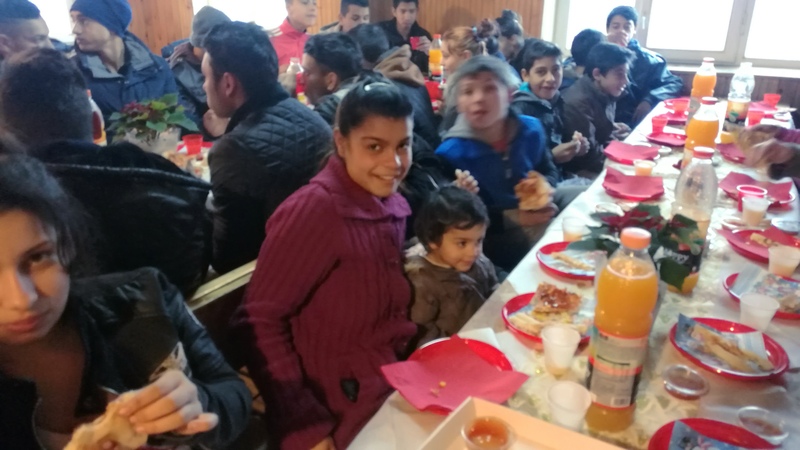 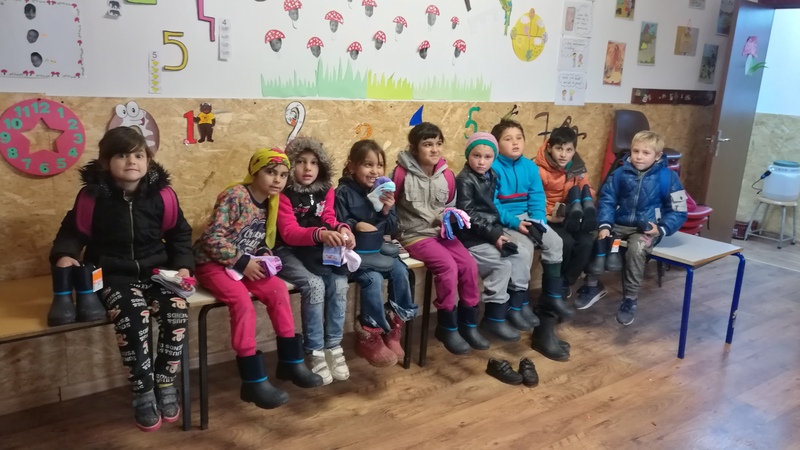 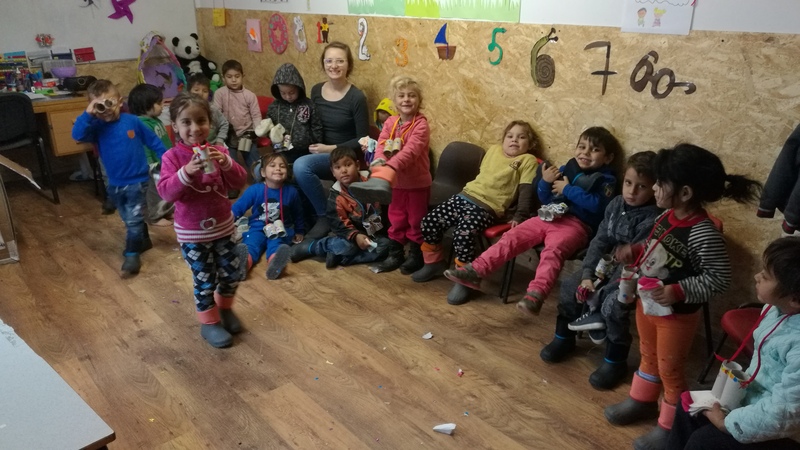 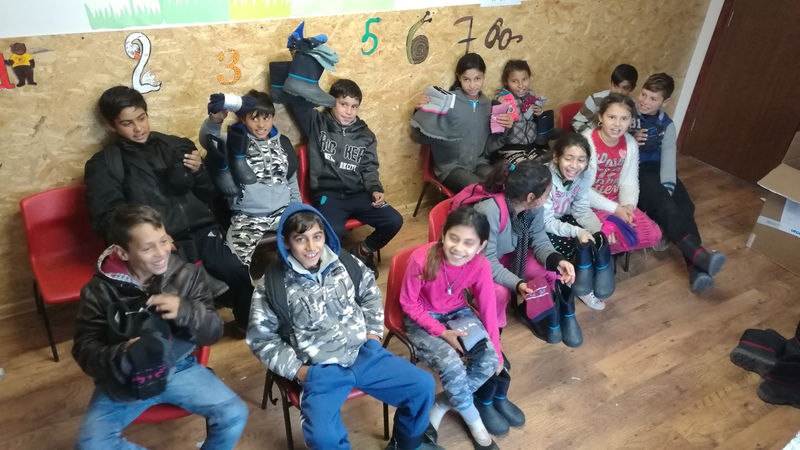 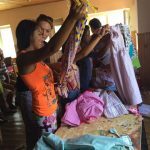 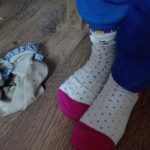 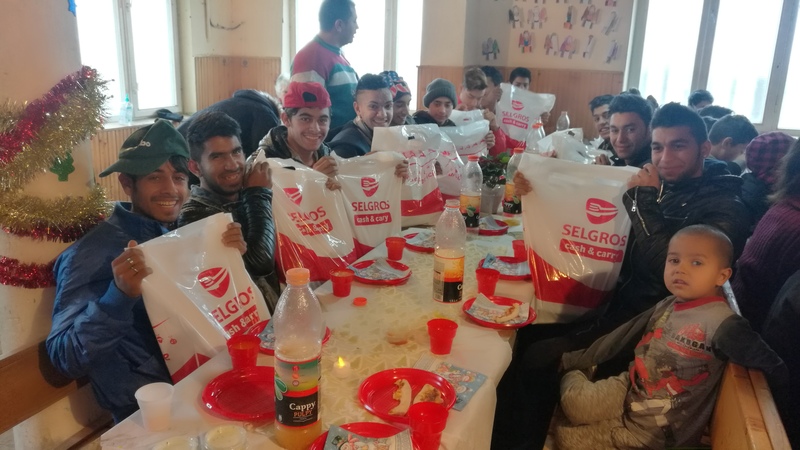 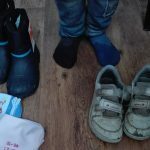 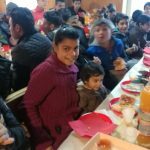 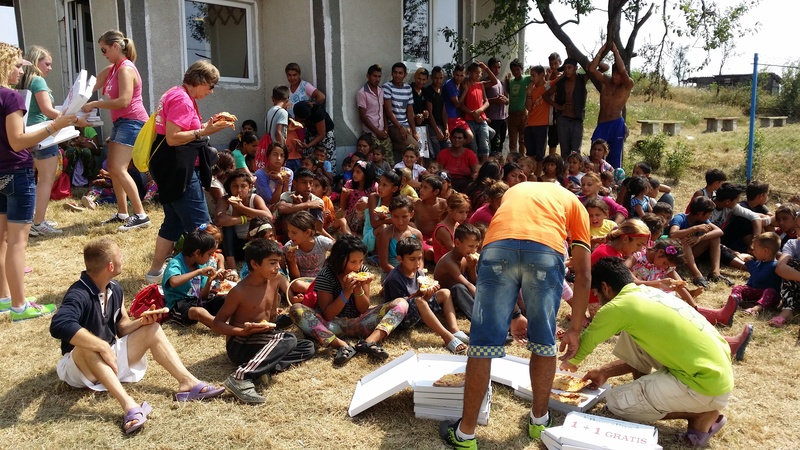 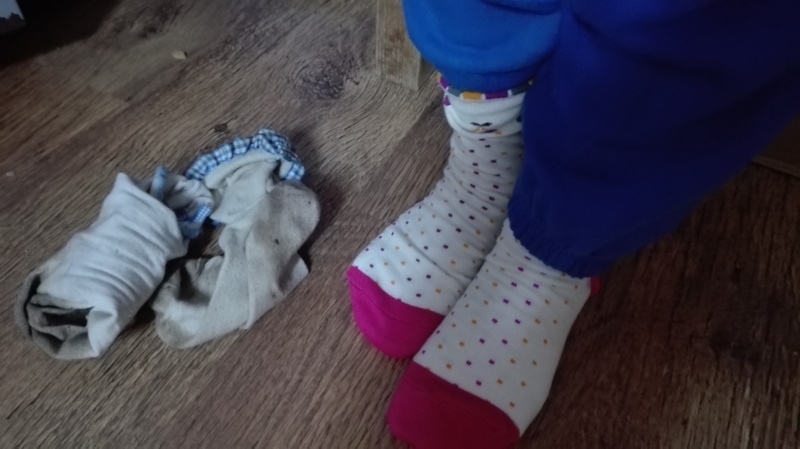 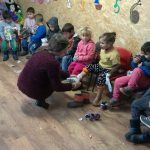 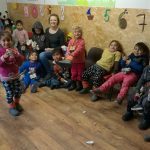 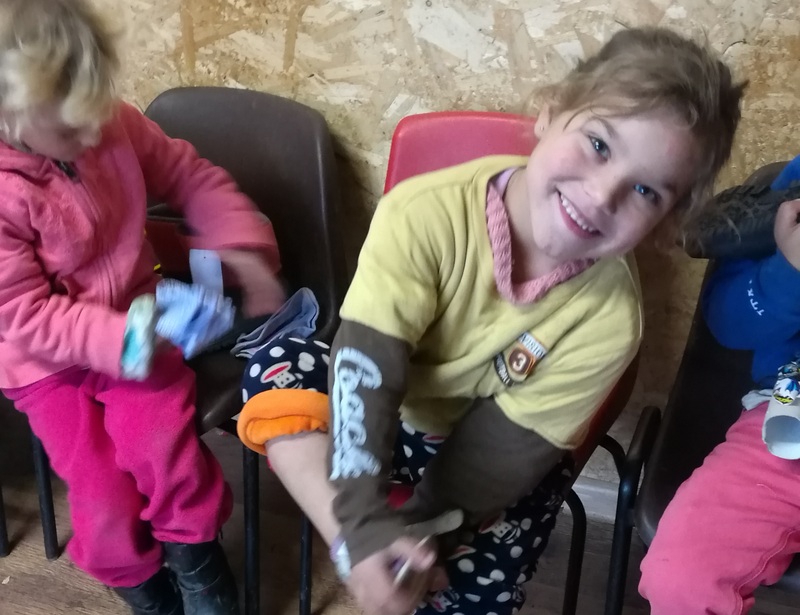 It makes a huge difference in the lives of the gypsy kids who would otherwise have to endure the harsh, damp and cold winter months. 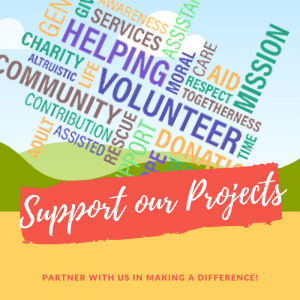 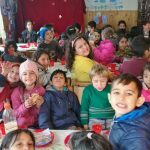 The Afterschool Program is making a huge difference! 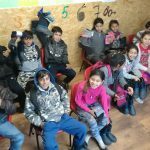 The Afterschool Program has a very important role for the community. 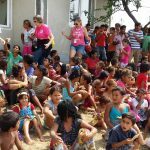 We have already seen the results of this project in the last few years but especially the past 12 months. 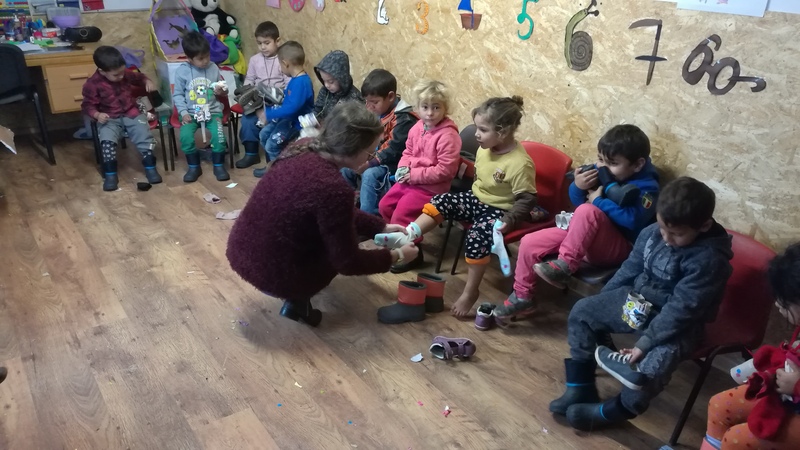 We ere also glad to see that more and more children are enrolled in the program. 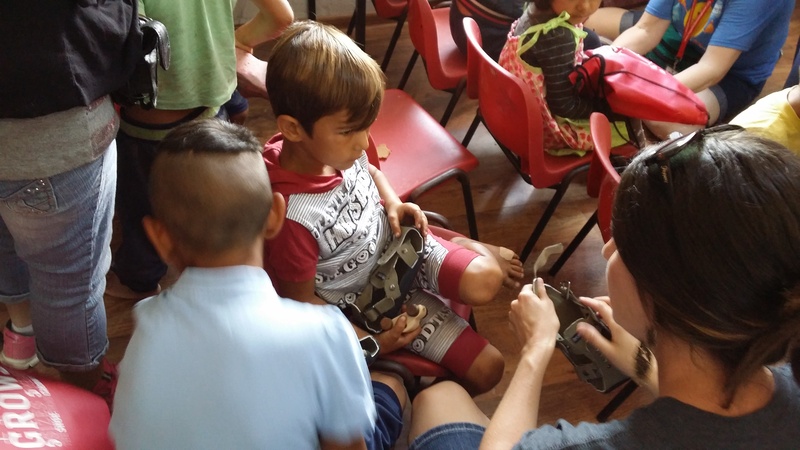 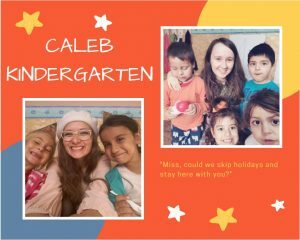 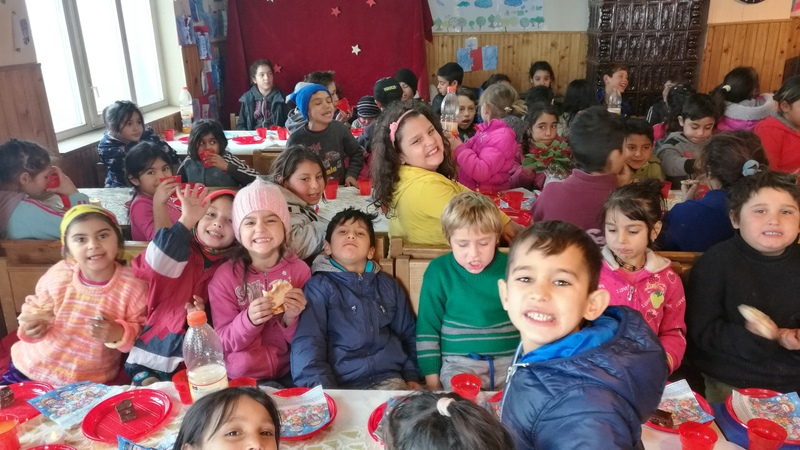 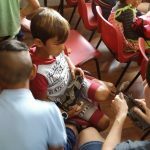 Some of the children’s parents, who didn’t use to think that education was an important part of their child’s growth, have changed their perspective now and sometimes even assist them in the Afterschool classes. 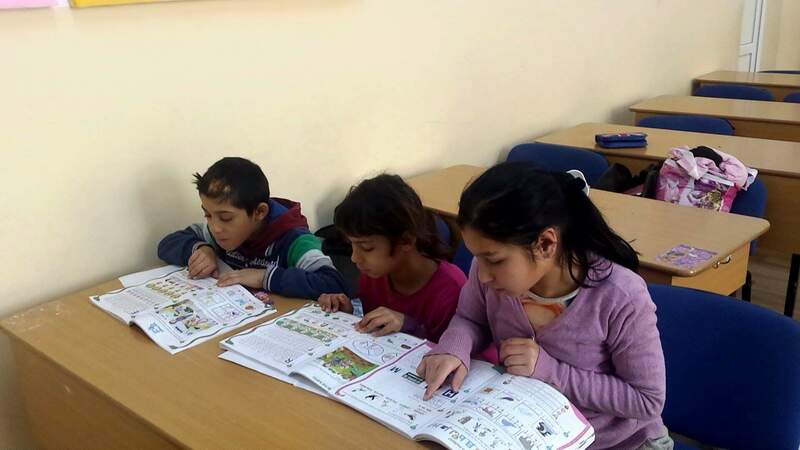 The children are assisted by qualified personnel to further deepen the knowledge acquired in school through additional exercises, group activities that stimulate their desire to learn and do their homework. 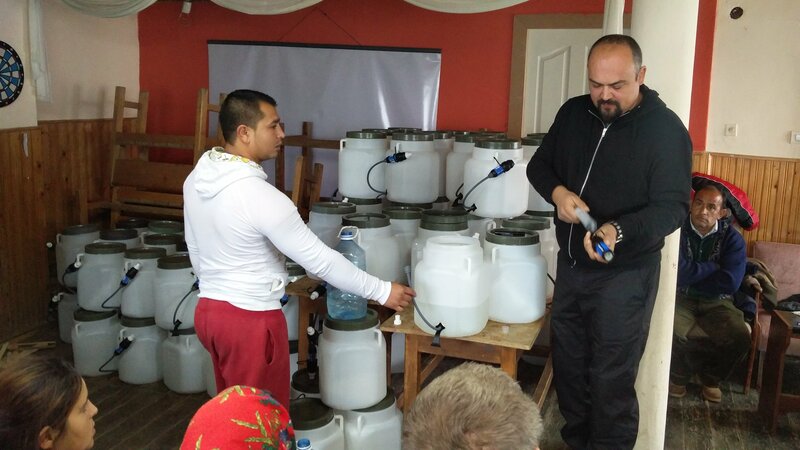 After countless years of drinking and using dirty and contaminated water the time has come for the gypsy people from Lazareni to finally have pure water. 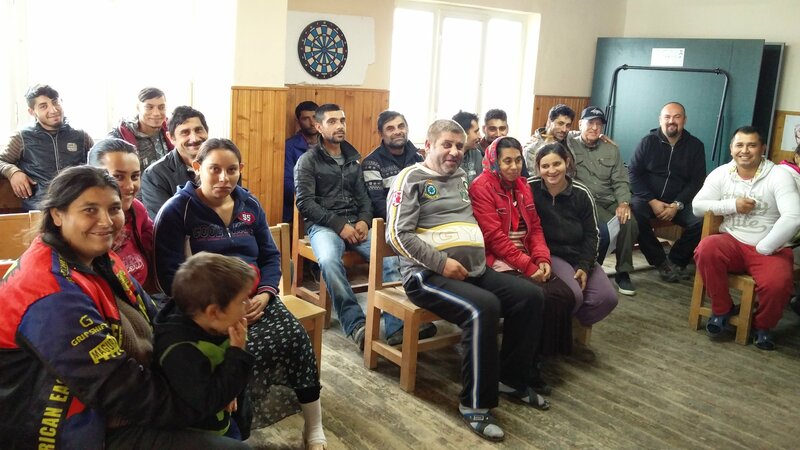 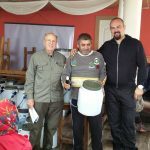 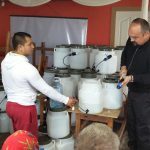 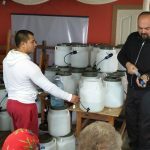 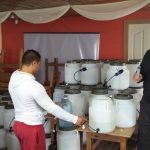 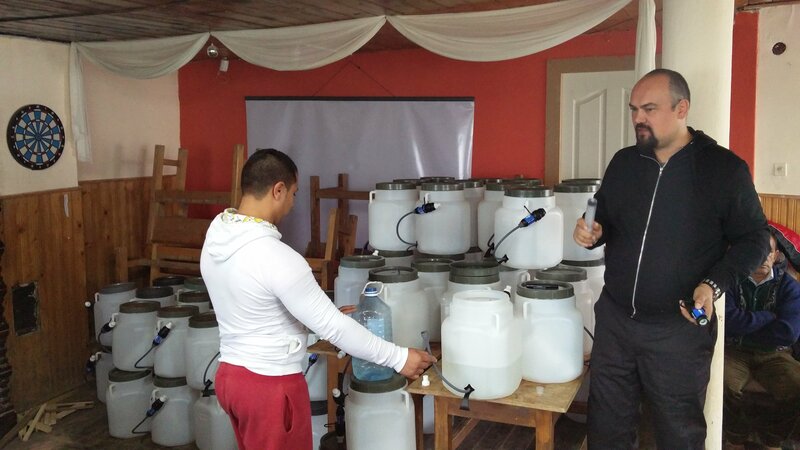 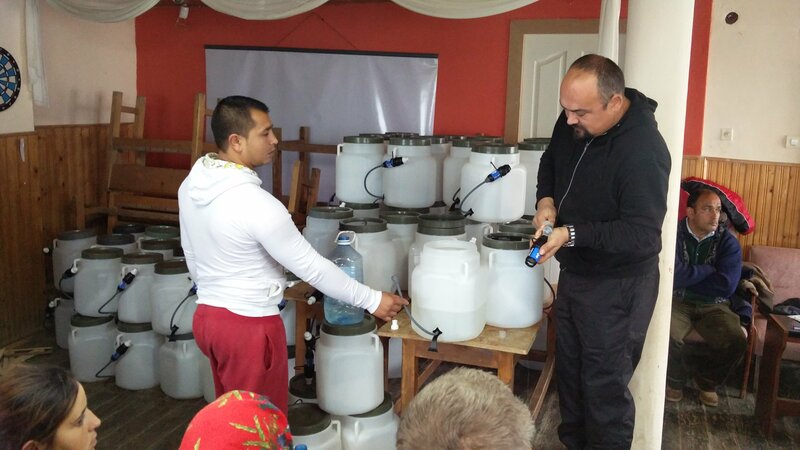 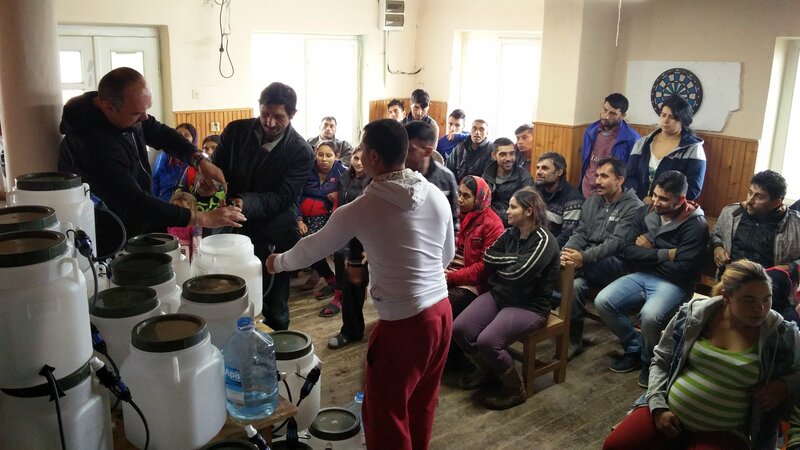 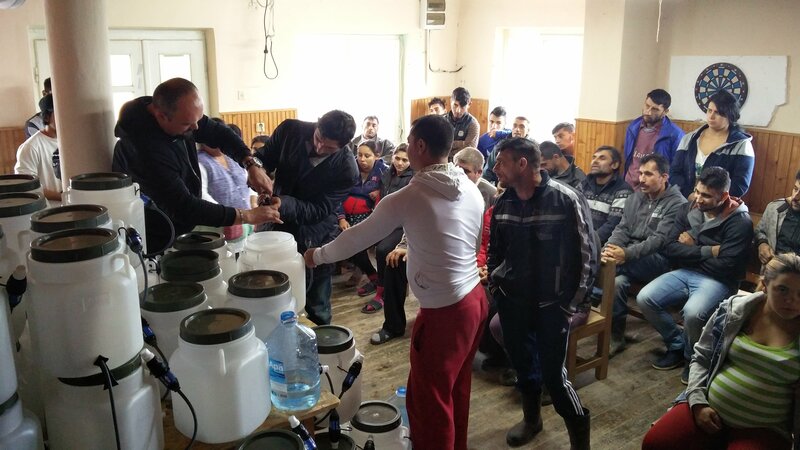 Our friends and partners Larry Farewell and Pacific Christian Center have made this miracle possible by buying 300 sawyer filters for all gypsy families. 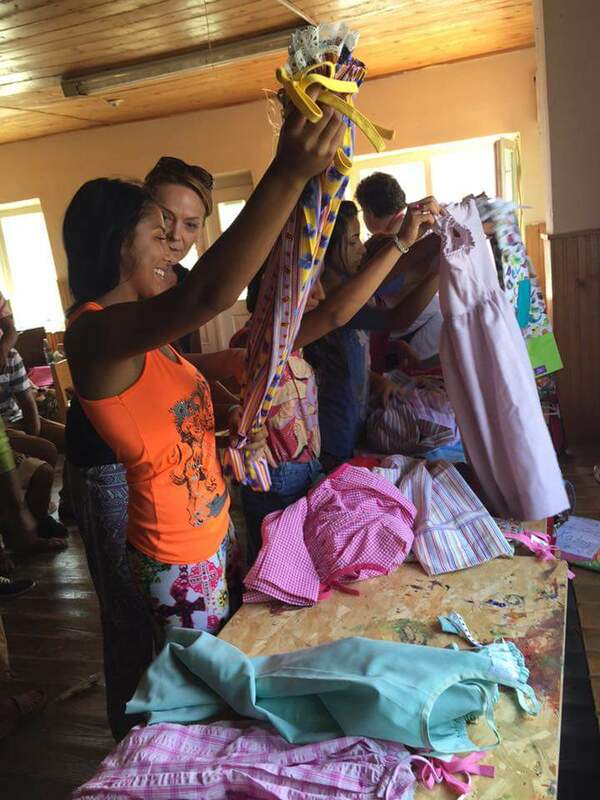 The feedback has been an explosion of joy and gratitude! 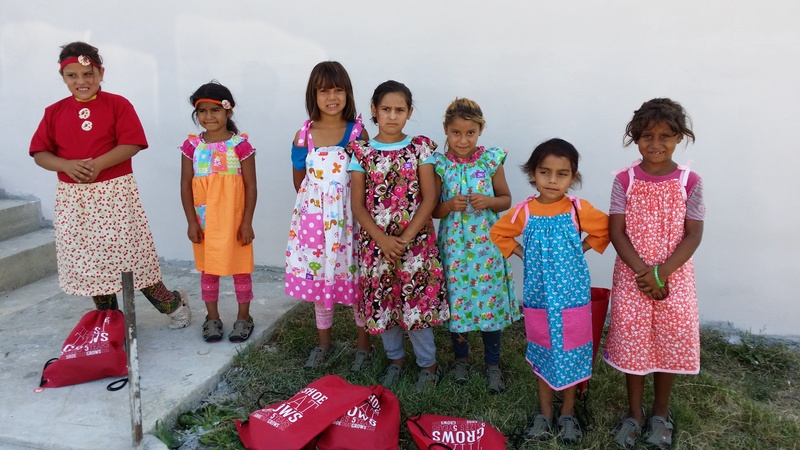 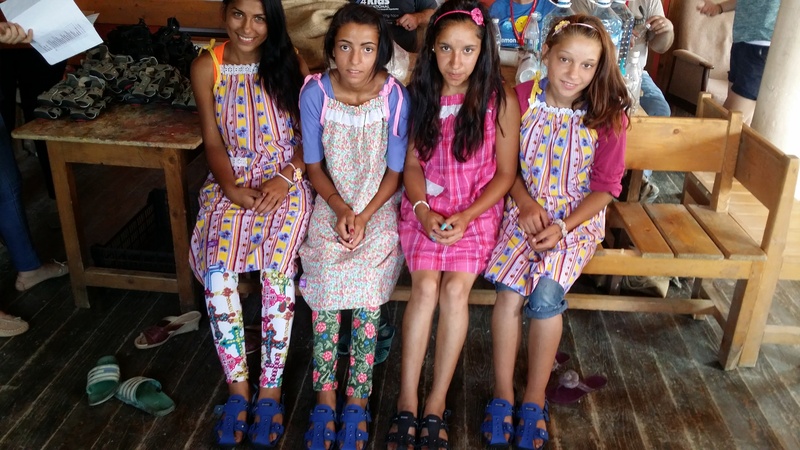 The “shoe that grows” and “dress a girl” made possible by Hope 4 Kids! 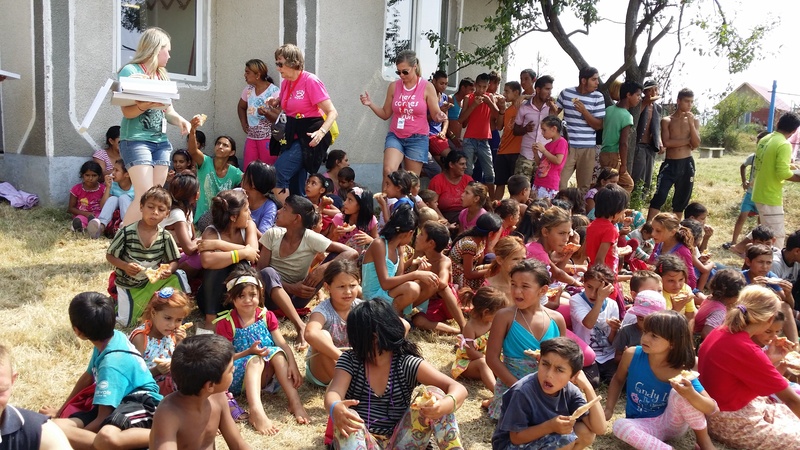 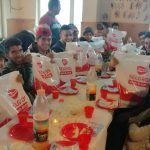 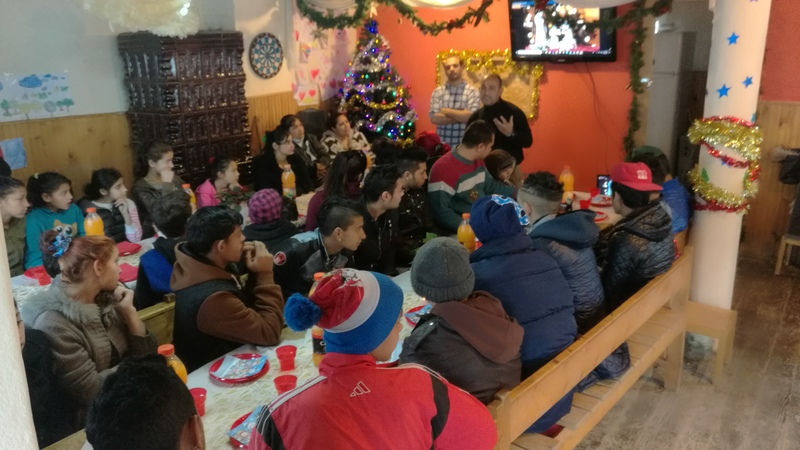 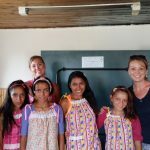 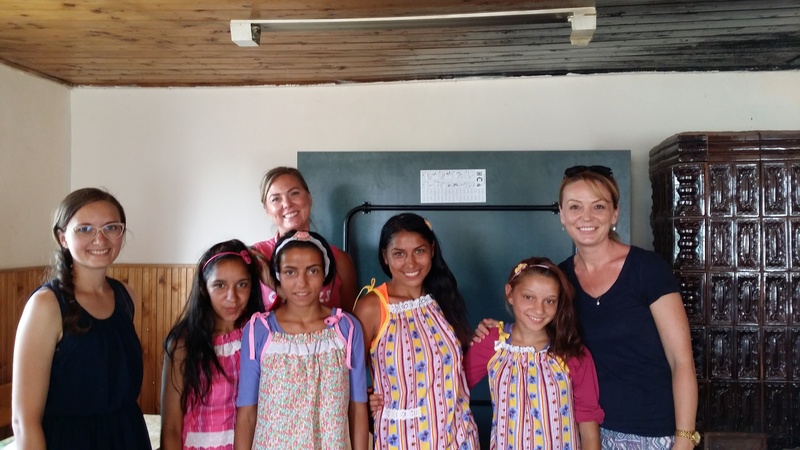 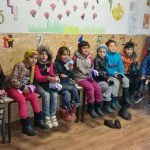 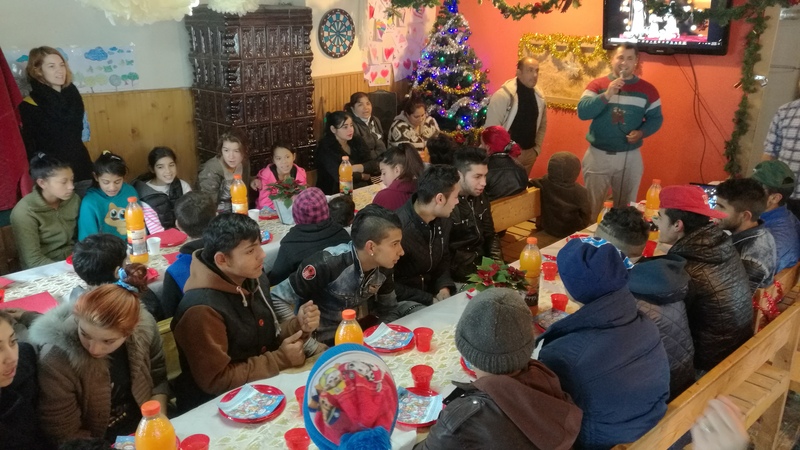 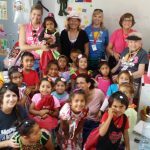 The Hope 4 Kids team visited us again this year and as always it brought a lot of joy and hope to the gypsy children from Lazareni. 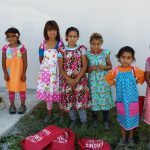 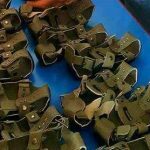 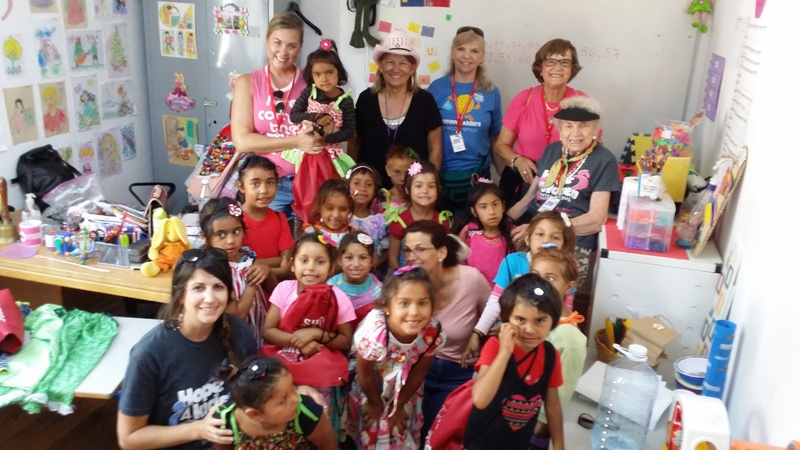 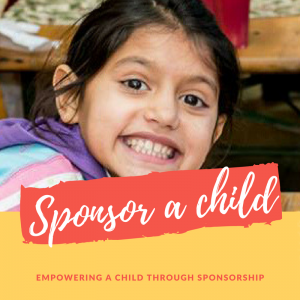 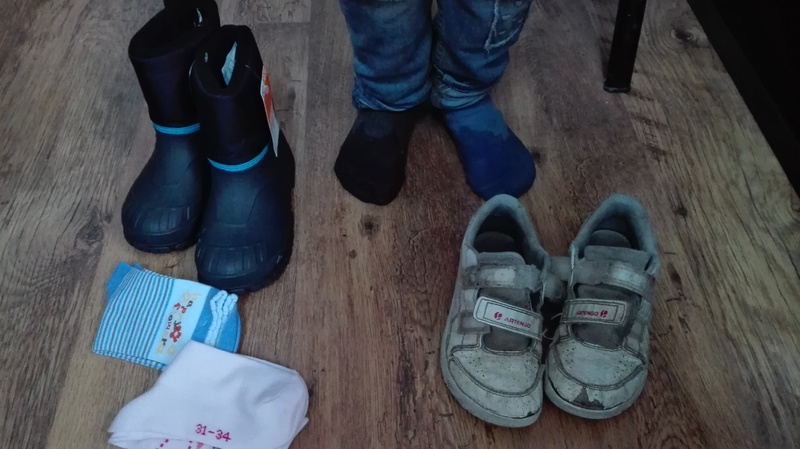 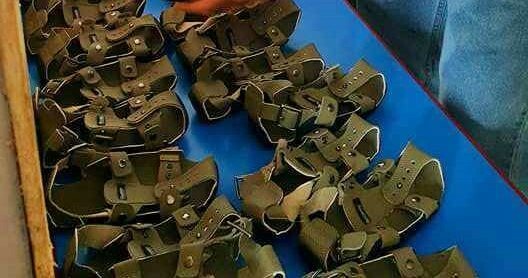 Through “the shoe that grows” and “dress a girl” projects, they were able to bless over a hundred children that could not otherwise afford these precious items. 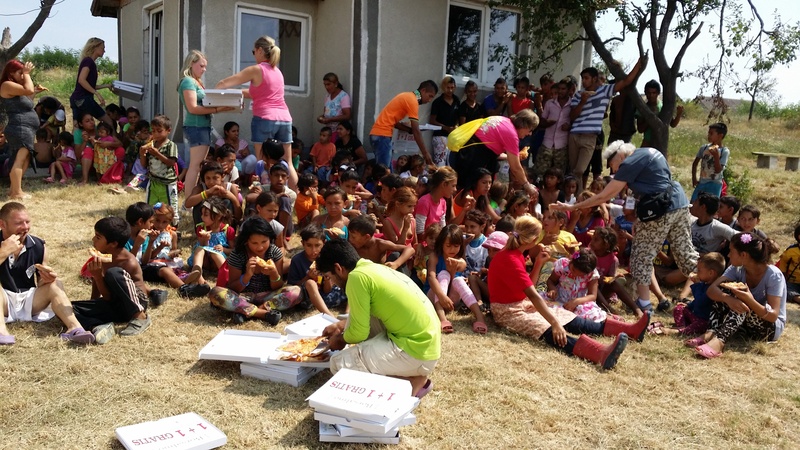 We ended the day with a joyous party that involved two of the kids’ most favorite: pizza and ice cream.